Frederick Mendelsohn is Emeritus Professor at the Florey Neuroscience Institute at the University of Melbourne and was previously Director of the Howard Florey Institute and R Douglas Wright Professor of Experimental Physiology and Medicine from 1997 to 2009. He held a Personal Chair in Medicine at the University of Melbourne until 1996 and was Senior Physician at the Austin & Repatriation Medical Centre. His research focuses on the chemistry of neural communication, especially neuropeptides and their receptors. His group discovered that the AT4 receptor is a transmembrane spanning enzyme that has prominent effects in memory and learning. He has published over 300 papers in international scientific journals. He was a Chairman of the Angiotensin Gordon Conference in the USA (1998), Member of the Wills Committee on Health and Medical Research Strategic Review (1998-2000) and was the Eccles Lecturer to the Australian Neuroscience Society (2001). 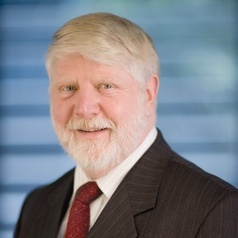 He was elected a Fellow of the Australian Academy of Science in 2003 and is a Past President of the Australian Neuroscience Society. He received the Order of Australia in 2004.